The task of braking might seem to be pretty simple; Just hit the brake when you need to stop or when you see an obstacle in front of you. That is true but how much brake should you apply and when should you apply? With the exception of emergency braking, you are braking hard all the time throughout the journey then it might feel pretty uncomfortable for the passengers riding with you. It might even induce motion sickness in some. When you hit the brake the passengers including you tend to move forward due to inertia and greater the braking force, greater is the forward movement. So to avoid this brake slowly but for longer. Which means start applying brakes slowly from a long distance instead of waiting for the last moment. This will not only lower the forward body movement but also reduce the chances of an accident. Braking late and hard may make the tires lock and skid, and sometimes if the stopping power of the brakes is not strong enough it might lead to an accident. So, use the brake more and longer for a comfortable and safe drive. While applying the brakes, the tendency to use the clutch is natural which at low speeds prevents the engine from stalling. At high speeds, using the clutch while braking reduces the efficiency of the brakes because the drive shaft becomes free from the transmission and the wheels rotate faster. Due to this more force is required to stop the wheels from spinning and also if you brake harder the wheels will lock and skid on the road. To prevent this, leave the clutch engaged while braking at high speeds or while descending a slope. When you are driving down a hill or a slope, the braking force required is higher than on a plain surface due to the action of the gravitational force. Therefore instead of putting your car in neutral by using the clutch, quickly shift to lower gears to use the retarding force of the engine to slow you down and assist you while you apply the brakes. This technique is called as 'engine braking'. Also with the clutch engaged it will prevent the wheels from locking and reduce the chances of skidding especially if your vehicle does not have an ABS. To be ahead of everyone is a good spirit to have inside but not always. When a vehicle in front drives slowly or a vehicle overtakes at high speed, the "racer" inside of many drivers gets awakened and the "black powers" want us they be ahead of the vehicle at any cost. Swerving through the traffic like maniacs to overtake they put both themselves and everyone else on the road in danger. Those are the signs of a bad driver and not a fast driver. Before overtaking a vehicle always check if there is enough space so that you can steer away if things go wrong. Always steer smoothly and do not swerve because swerving not only makes the passengers feel like they are on a 'roller coaster' but also reduces the time for correction if something comes in front suddenly. Before overtaking a vehicle in front make sure to ask for pass by flashing the passing light or by honking once or twice and only overtake when the driver in front lets you pass. Never get yourself in a competition or a street race. While performing an overtake always do it fast and do not drive along with the slower vehicle as you might block the cars in the 'fast lane' or a faster car might hit you from behind. If the vehicle in front is too long and wide or if there is not enough space to overtake then slow down and drive in the 'slow lane' maintaining proper distance from the car in front and wait for the proper moment. If you are not sure about a maneuver then do not perform it. 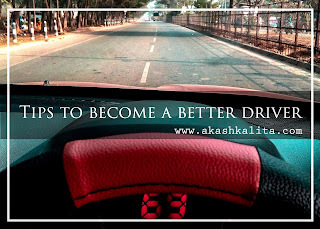 Never do rash driving because there is a saying that "Speed thrills but kills". Headlights are the only companions that you would not want to be betrayed by on your journey especially at night. They illuminate your path and lets you drive safe even at night. The lights that are helping you to drive safe might cause an accident if not used properly. Many drivers have the tendency to keep the headlights in 'high beam' while driving because it provides better visibility by throwing the beam further and higher. 'High beams' always blind the driver of the oncoming car making him unable to see what is in front of him. As a result, it might cause an accident. Therefore put your headlights on the 'high beams' only when there is no oncoming traffic at night but as soon as you see an incoming vehicle put the headlights in 'low beam'. That will make you a responsible driver. If you are new at driving then parking a car properly might seem to be a daunting task for you. Parking your vehicle properly is necessary because improper parking will not only get you fined in many places but also you might cause inconvenience for other vehicles. If you are parking on the side of the road then park your vehicle close to the sidewalk and leave space for other vehicles to pass. Do not park in the middle of the road and always retract the side view mirrors of your car after parking. To parallel park, your car always reverse your car and park it. It will help you to park in even tight spaces. Use your mirrors to know the position of the vehicle and what is behind. There are accessories like reverse parking sensors or rear view camera to assist you while parking. If your car does not have those, then installing them will help you park better. Also do not park close to the bumper of another car. It might put you or the other car's driver in a difficult situation while trying to move out of the parking. Never honk unnecessarily. Just never! There is already enough noise pollution and honking just adds to it. It causes distress to the ears and tires out the brain. Instead, where ever possible use the flasher to ask for a pass. If you need to honk just do it once or twice but do not get into a relationship with the honk. If it is a blind turn then it is alright to honk to warn the incoming vehicle but at night you can always use the flasher. In many places, honking can get you fined too. So know the honking rules of the place you are driving in. It always feels great to floor the gas paddle, dump the clutch, and launch every time the lights go green at a stop light. Accelerating hard might give the feeling of a drag race but if you have passengers along with you then it might be uncomfortable for them as the body tends to move in the opposite direction hard due to inertia. Sudden body movements are never very enjoyable and also accelerating hard increases fuel consumption and reduce the fuel efficiency of your vehicle. So accelerate normally and shift gears at correct RPMs for a better driving experience. 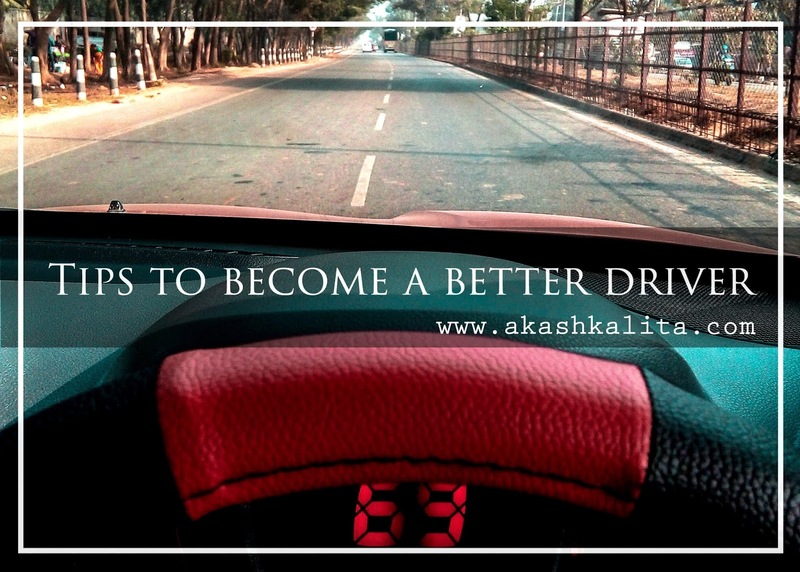 Hope these simple and easy tips will help you to improve your driving skills and make you a better driver. Last but not least, if you have liked tips and found the blog helpful then do share it with others too to share the information.